These Korean egg rolls are simple to make and a common delicious side dish in many of my meals that I eat. So today, I will be showing you how to make them! First, crack open the eggs into a bowl and add in the milk, salt, and pepper. Combine the ingredients by beating the mixture. Pour the mixture through a sieve to remove the chalaza (the gooey, stringy stuff in the egg). This will make the egg smoother and easier to roll up. 3. Add in the chopped carrots and green onion and mix into the egg. 4. Heat up a non-stick pan and grease it with some oil. After the pan is heated, pour in about 1/2 of the egg mixture. 5. Wait until the bottom of the egg is cooked, but the top is still runny, and begin to roll up the egg. 6. Move the egg roll onto the other side of the pan and pour in the 1/2 of the remaining egg mixture, connecting it to the egg roll. 7. After the bottom is cooked, continue to roll up the rest of the egg. 8. Move the egg onto a cutting board and let it sit for about 2 minutes to cool down. 9. 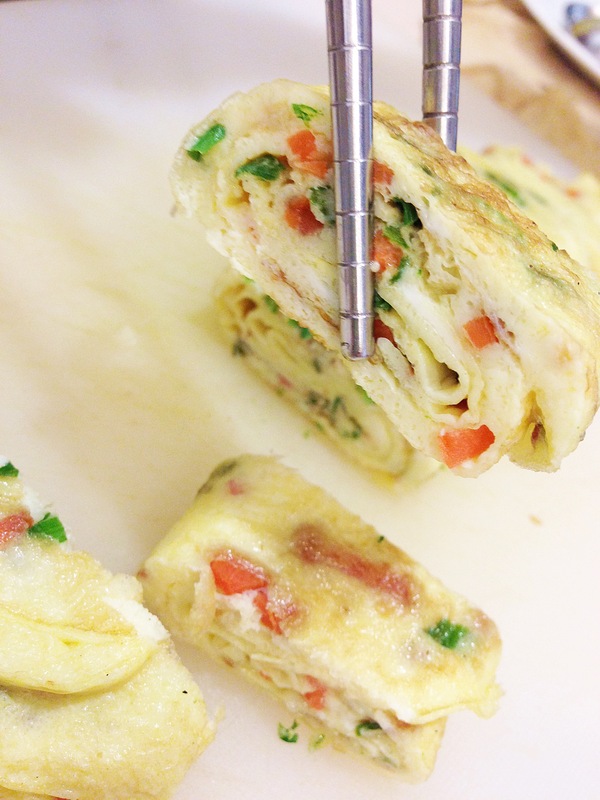 Cut the egg roll into small slices and serve! I hope that you enjoyed this recipe and will try to make it! Egg rolls are some of my favorite foods! and these korean egg rolls looks especially delicious! Wow thanks! Yeah I love egg rolls too!! This actually looks very nice. 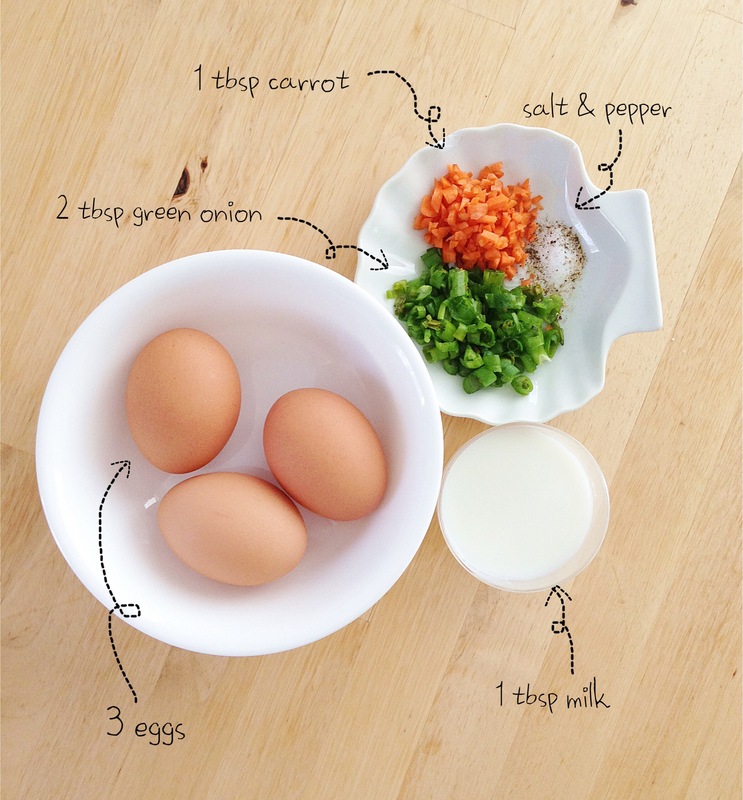 I never thought of mixing eggs and carrots together before. Thank you and hope you enjoy the recipe! I want to attempt to make these but I am afraid I will burn down the kitchen. OHHHHHHHHHHHH MOM! Haha no don’t worry! I’m sure you won’t! I flooded the kitchen before. Thank you and I was tols to put meat to thaw out. I left the sink running and my dad walked in the kitchen and the floor was full of water. OMG!! Haha I’m sure that that has happened to someone else before. I can’t imagine your dad’s reaction! He was cursing like crazy. It was kind of funny. Haha yeah me too! Too lazy to chop up some vegetables! Awww thanks! I Love To Cook and Makeup! Gotta try to make these.Thanks for sharing. Hope they come out delicious!! OMG I LOVE THESEEEEEE THEYRE ONE OF MY FAVS AND THEYRE SO GOOD!!! Haha lol me too!! And they are also so simple to make! !